The »Special Physical Traumas« dealt with in this chapter differ from those listed under »Mechanical Trauma« (Chaps. 2–6) in their causes, even though their effects may sometimes be mechanical in nature (cf. pressure injury). 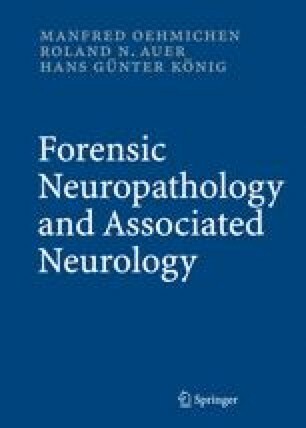 This chapter will discuss a representative selection of such traumas, providing a description of the most common neuropathological findings for each.